These Mozzarella-Stuffed Italian Breadsticks are the perfect appetizer for a college basketball tournament party. 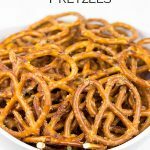 They’re fun, delicious and easy to eat! As far as I’m concerned, all of the college basketball games in March are kinda-like the Super Bowl, part 2. The games dominate the sports news for the month and a national champion is crowned at the end. But more importantly, March Madness is a great excuse to bring out all of the snacks and appetizers that normally appear during Super Bowl season. Sure, maybe the tournament games don’t have as much hype as the NFL playoffs, but that’s no reason to skimp out on the snack food. If anything, that’s a reason to make even better appetizers. Like these Mozzarella-Stuffed Italian Breadsticks. Holy cow, these breadsticks were amazing! Easy to make, even easier to eat, and really flippin’ delicious. In my book, that’s pretty much the definition of the perfect snack food for the big game…be it the Super Bowl or college b-ball! 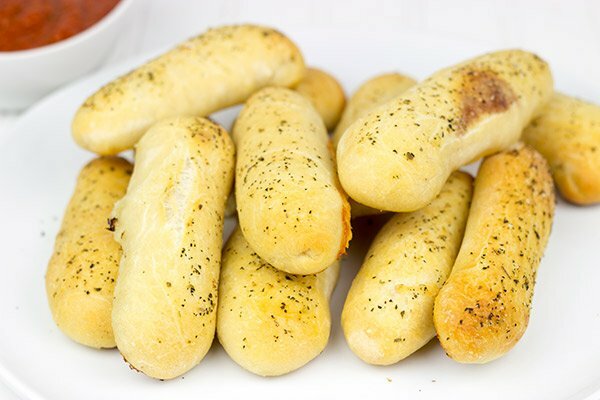 I’ve had breadsticks on my mind for quite a while now. 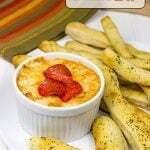 Then I stumbled across a recipe for breadsticks stuffed with cheese. Wait, what? Breadsticks stuffed with cheese? Yes, please! I knew I had to make these…and soon! I opted for mozzarella since it melts so well, but any good “melty cheese” would also work here. I’m thinking the next attempt might use Jalapeno Monterey Jack cheese inside and Southwest seasonings on top. 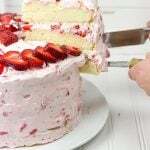 Use your imagination here…there are so many fun twists to this recipe! 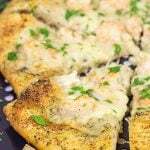 This recipe includes the ingredients for making your own pizza dough, but you could certainly use store-bought dough if you prefer. (I just think homemade dough tastes so much better!) 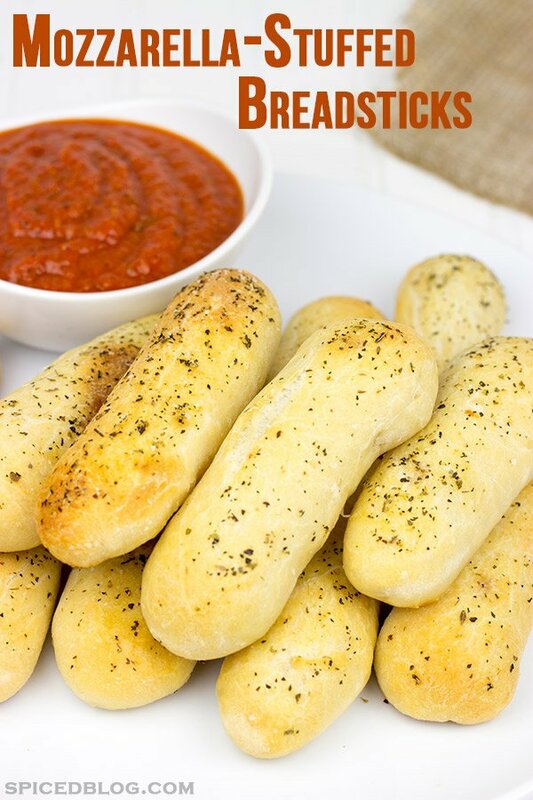 While these Mozzarella-Stuffed Italian Breadsticks are delicious enough to eat by themselves, I served them with a side of pizza sauce for dipping. Transfer the dough into an oiled bowl, cover, and place in a warm (~85°F) location to rise for 60 minutes. Turn dough out onto a floured countertop and fold several times, rotating 90° after each fold. Place dough back into an oiled bowl and cover. Let rise in a warm location for another 60 minutes. Turn dough out onto countertop and fold 2-3 times. Cover loosely and let rest for 10-15 minutes at room temperature. Meanwhile, cut the mozzarella into 12 pieces about 4” long and 1/2”-3/4” thick. Divide the dough into 12 equal-sized pieces (~1.75 ounces each). Pat the top surface of the dough with water until dough is sticky to the touch. Place 1 piece of cheese lengthwise in the center of the rectangle. Roll the dough around the cheese, and pinch seams together to create a tight seal. 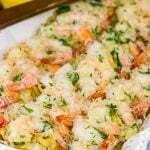 Place mozzarella-stuffed dough seam-side down onto a parchment-lined sheet pan. Cover and place in a warm location to rise for about 30 minutes. In a small bowl, combine the remaining 1 1/2 Tbsp olive oil with the Italian seasonings, salt, and garlic powder. Mix until well combined. Gently brush the top of each breadstick with the olive oil mixture. Bake breadsticks in preheated oven for 22-25 minutes, or until tops are golden brown. These breadsticks would be a heavenly experience for my daughter! 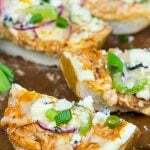 She adores breadsticks – but breadsticks stuffed with mozzarella would be AH-MAZING! You’re telling me…my mind was literally blown when I thought about cheese-stuffed breadsticks. 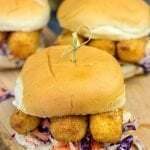 And those things were so freakin’ delicious, too!! Haha! Only problem there, Chichi, is that I ate them all. Oops. I love making breadsticks and actually made some for dinner today- but I sprinkled the cheese over the top! They went down a storm and are really simple to make too! 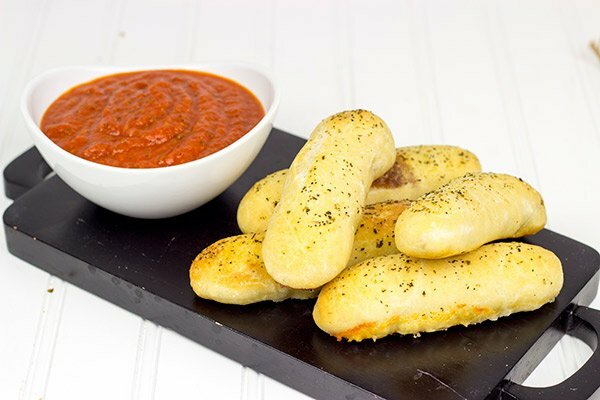 Loving the fact these breadsticks are stuffed with mozzarella and that marinara sauce looks lush! Haha…that sounds like a perfect weekend to me, too. Except I would probably need some ice cream and a 2-hour nap. Oh, my. These could be dangerous! It seems my dough is quite dry. Everything by the recipe.?????? Hmmm…something must be off then, Charles! I don’t recall this dough being overly dry…it is almost identical to pizza dough (if that helps). I just checked my notes, and all of the amounts listed above are correct. It’s hard to say since I can’t see the dough, but are you sure you measured the water and flour correctly? Is it ok to prepare the dough the night before and then bake the next day? Or will that dry out the dough?